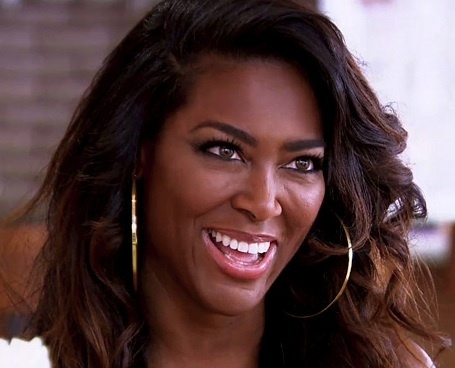 Kenya Moore has been teasing her hair care line for over a year, and finally, the collection is available for pre-order. Kenya's website lists products such as growth repair shampoo, growth serum, growth repair conditioner and a growth mask. The prices are reasonable with each product ranging from $14.99-$16.99. You know Kenya is about to make a killing with this business! All the bald headed scallywags thinking they are going to wake up with waist length hair like Kenya's after using her shampoo is laughable. But hey, if you're going to waste your money on some "growth" products, why not support Miss Twirl? You can pre-order her products from her website here. Check out Kenya on Wendy Williams' show talking about her natural hair care.